I am a big believer in appreciating the good that life has to offer, right down to the smallest, simplest things (many of which make life so, so sweet). If my day has gone badly or I am unhappy with certain circumstances it can be so easy to let that cloud the awesome things I have been blessed with. Beyond awesome things, I mean awesome people, feelings, experiences and so much more. It usually doesn’t take long for me to remember that some people would give anything to have even the simplest things in life that I never have to live without. I’ve always been a big fan of journaling and a couple of years ago I even kept a daily gratitude journal. Each night before bed, my goal was to write three things in it that I was grateful for that day. It was easy and only got easier. Shortly after starting this ritual, I never had just three things on the page. They were always bursting with abbreviated scribbles and jot notes of things I had enjoyed about my day. If I had a low point, I loved looking back on all of the wonderful things I had enjoyed and it always helped turn things around for me. The way to feel truly rich? Start a gratitude journal. You will find it impossible to ignore how blessed you are. When I moved last summer, I misplaced the gratitude journal and sadly, I got out of the habit of documenting my gratitude. Don’t get me wrong, I still feel it every day but there is something about keeping track of it somehow. Writing is so therapeutic for me. When I started this blog, I knew I wanted to throw in some real life stuff because as much as I love to cook and bake, I also live a really full and amazing life outside of the kitchen. This is my first attempt at sharing some of the other good stuff. My new online gratitude journal and a little way to share some of who I am with you. I hope you enjoy it. A photo of a good friend’s adorable baby in the mailbox from Iowa. Fleetwood Mac’s “Mirage”. I’ve been listening to it as much as I can. The opportunity to make many three (!) cakes this week alone. 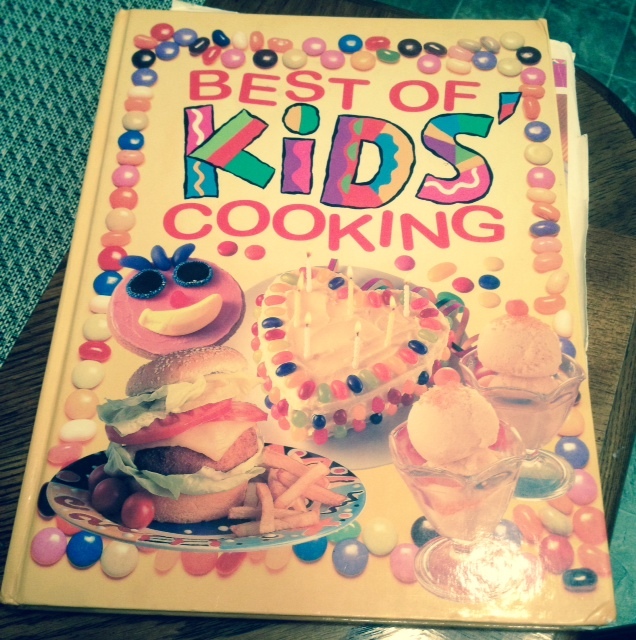 My mom recently told me she found my favorite dog-eared cookbook from my childhood. I got it this weekend and reading it, sticky stains, loose pages and all, brought me right back. I am grateful for being loved even when I am not so lovable. 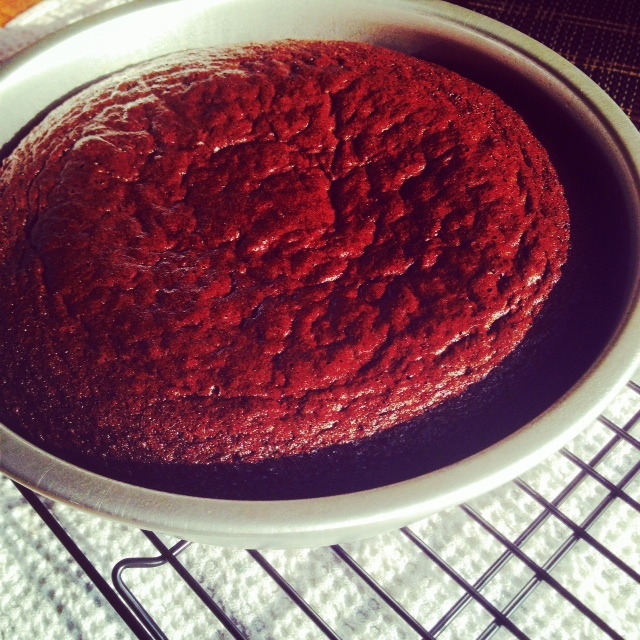 I had a huge flop with one of my aforementioned cake recipes. Two dozen cupcakes wasted and I to remake them during an already too busy week. I was crushed. My poor Main Taste Tester was so kind, helpful and patient with me. He washed dishes, he measured flour and he consoled me while I *ugly* cried out of frustration. Looking back on the experience, I know I learned a lesson or two. Spending quality time with my parents, siblings and grandparents this past weekend. I haven’t seen some of them since Christmas and it was amazing to hang out and catch up. All of the amazingly encouraging and positive feedback I have received upon launching this blog. I knew I would have support but the amount that has poured out from so many of the wonderful people in my life and even people I don’t know (at least not yet) has been so awe-inspiring for me. Thank you for all of the kind comments, messages and interest in my new adventure. I am so grateful for you.